Room For The Relatives! 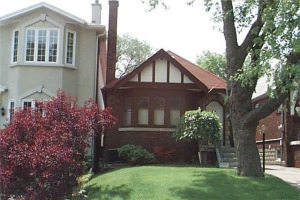 Great Brick Bungalow On 40' X 115' Prime Building Lot. Build Your Dream House Or Make This One Your Own. 2 +1 Bedrooms, Hardwood Floors, Upgraded Upper Kitchen With Granite Counters & Slate Floors, Separate Entrance To Lower Level, Galley Kitchen On Lower, Large Lower Rec Room & Bedroom With Ensuite.